Shenzhen Antenk Electronics Co., Ltd. recently introduced a special Pin Header 1.27mm pitch Pin Header Single Row Angle C Type with a plastic height of 2.50mm and a width of 2.50mm. Pin material: brass, optional full tin, full gold or semi-gold tin. Plastic material: PA6T (LCP/PA9T), UL 94V-0 Black. Electrical Performance The main electrical properties of the connector include contact resistance, insulation resistance and electrical strength. 1 Contact resistance High quality electrical connectors should have low and stable contact resistance. 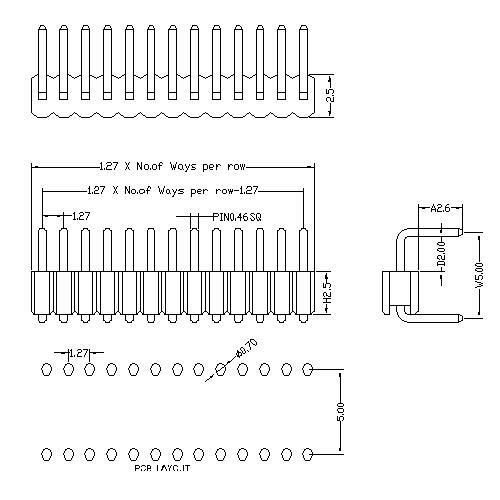 The contact resistance of the connector ranges from a few milliohms to tens of milliohms. 2 Insulation resistance A measure of the insulation properties between electrical connector contacts and between the contacts and the enclosure, in the order of hundreds of megaohms to several gigaohms. 3 Electric strength, or withstand voltage, dielectric withstand voltage, is the ability to characterize the rated test voltage between connector contacts or between contacts and housing. The electromagnetic interference leakage attenuation is to evaluate the electromagnetic interference shielding effect of the connector. The electromagnetic interference leakage attenuation is to evaluate the electromagnetic interference shielding effect of the connector, and is generally tested in the frequency range of 100 MHz to 10 GHz. 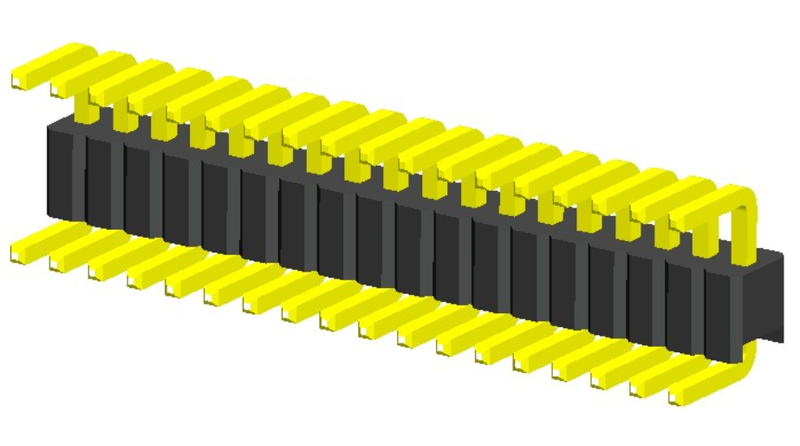 Looking for ideal 1.27mm Pin Header C Type Connectors Manufacturer & supplier ? We have a wide selection at great prices to help you get creative. All the Single Row C Type Connectors are quality guaranteed. We are China Origin Factory of Pcb Header C Type Connectors. If you have any question, please feel free to contact us.